Celebrate 45 years of neighborhood development and community service in Dutchtown, Gravois Park, Mount Pleasant, and Marine Villa! 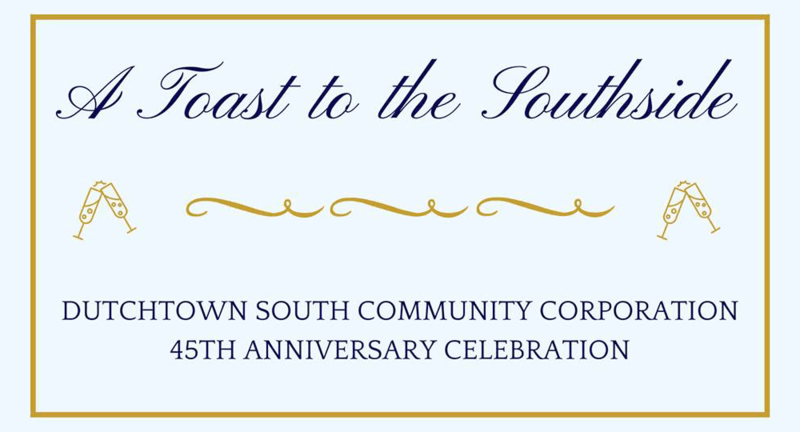 Dutchtown South Community Corporation is hosting a Toast to the Southside on Friday, March 9th, at the renovated Marquette Field House. The event will be hosted by St. Mary’s High School President Mike England. Neighborhood champions will be honored during the Spirit of South St. Louis award ceremony. Enjoy live art from artist and Dutchtown resident Sarah Paulsen, jazz music from Jenna Bauer, Dave Black, and Willem von Hombracht, and craft beer and specialty cocktails. Purchase your tickets today! Tickets are $45 and include two complimentary beverages. The celebration runs from 5:30–8:30pm. Here’s to many more years of service with Dutchtown South! Read more news about Dutchtown, Dutchtown Events, and Dutchtown South Community Corporation.